Mobile commerce. If you haven’t been inundated with the term from all fronts yet, you will be soon. It is the fastest growing trend in e-commerce, and it will simply continue to gain in importance. At the center of the discussion around m-commerce is the quintessential mobile tool for online merchants: the mobile app. Research indicates that more than 80 percent of people prefer to shop in a native app compared to a mobile website. Perhaps even more significant, users are growing increasingly impatient with the mobile Web, which tends to perform significantly more slowly than apps. A well-known study shows that even a 1 second delay in page load times can result in a 7 percent reduction in conversions. But what is so appealing about mobile apps? And, perhaps more importantly for merchants, what drives people to download any one app? What keeps them engaged and eager to buy? For all of the attention that mobile apps have received, it has been difficult to get clear-cut answers to these questions. Fortunately, we are beginning to see trends demonstrating the activities that keep customers engaged, interested and taking advantage of merchants’ mobile channels. Implicit in that question is the assumption that customers are going to be the ones seeking them out. Of course, this makes quite a bit of sense. In the realm of e-commerce, SEO is of tantamount importance, and indeed is often the primary driver of online store growth. While “App Store Optimization” is a thing, it really isn’t the way most customers encounter apps for e-commerce sites. In reality, the apps that get the most downloads are the ones whose merchants actively promote them. Most often this means taking the combined approach of exposing an app across as many existing channels as possible (e.g., placing app download links on their website, in emails, on business cards, on social channels, etc.) and actively engaging with users about the presence of an app. The difference that even a token amount of promotion can make is pretty staggering. 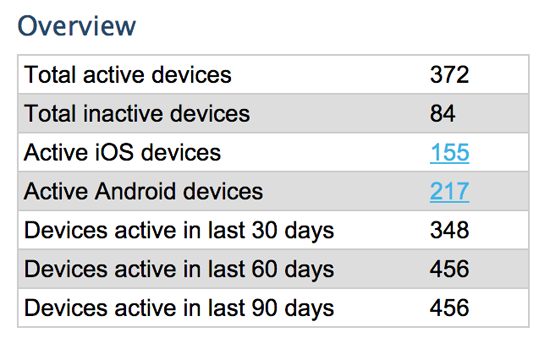 Take a look at some data from one of our customers who recently created their app. This customer has a very attractive app, from a design perspective there isn’t much we would change. However, they have not yet shared the app on social channels, and they have not even taken the step of placing download banners on their site. Now, compare that to another app, purchased within the same time frame, with design that is of comparable quality and a social audience approximately equal to that of the first app. In this case, the customer did promote the app over social channels and has placed badges on their site. Obviously, the differences here are dramatic, but they shouldn’t be surprising. In general, customers who love your store will be eager to download your app if they know about it. They should not be expected to seek it out. It is your job to offer it to them. We mentioned it above, but it deserves to be stated again: the people who download your app are very likely customers that love your store! While some people will eagerly download any app they can get their hands on, the vast majority of people are slightly more reticent. Consider that people who download your app are quite literally giving you the ability to interrupt their life with such things as push notifications, in addition to viewing your app on their home screen whenever they open their phone. You’ll want to reward that loyalty by making sure your interruptions are welcome surprises. The customers who download your app should absolutely be regarded as VIPs. When you send a push message or offer an app-specific deal, you should be delivering tremendous value every time. These should be the sorts of deals that you would offer your best friend if they were shopping at your store. They should be the kinds of deals that people want to share with their friends, who will in turn download the app and become loyal fans in turn. Again, we can turn to data that illustrates this point well. One brand has a very robust push notification strategy that works well for their store. Each push notification deal results in approximately $400 worth of additional daily revenue, which is a substantial increase from this particular store, which makes between $8 and $115 on days without push notifications. These push notifications are sent weekly and each delivers a substantial discount on a popular item that customers can only get for a limited time, and only by receiving that push notification deal. Conversely, one brand had a problem with people uninstalling their app. Within a short time frame of about two weeks, their app installs had dropped by 22 percent. 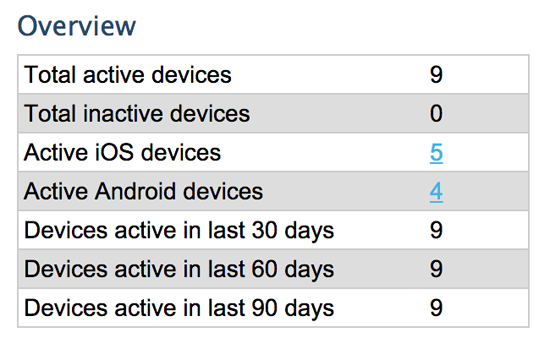 Some app uninstalls are normal and inevitable, but that number was pretty high. It only took a small amount of investigation to determine the problem. The customer had been unwittingly abusing the trust of the loyal customers who had downloaded their app. She had been sending the same bland deal, multiple times per day, for several days. The start of the mass uninstalls correlated correlated with these spammy pushes. Fortunately, the company was able to quickly put a stop the problem. The point here is crystal clear. If you deliver value to customers, they will deliver great value to you. If you abuse the relationship, they’ll kick you to the curb. Though the industry is increasing its insight into the previously murky realm of mobile commerce behaviors daily, there is still so much to explore. At this point, mobile apps are acting as a sort of estuary between the dynamic experience mobile devices offer and more “traditional” e-commerce. As mobile device ownership (and hardware/software capabilities) continue to grow, we will see a direct correlation in the number of uniquely mobile behaviors that customers exhibit. This transition will happen quickly, and the savvy merchant that stays on top of the latest mobile trends will have a tremendous advantage over the competition. Jason Jaynes, has 16 years of experience as a software executive and is currently the CTO for Apptive, a mobile commerce app platform that makes it easy and affordable to create stunning, high-impact mobile commerce apps that leverage the top e-commerce platforms.